This is a guest article written by Damon Mangos, Strategy and Executive Creative Director, Delete. You can follow him on Twitter @Damon_Mangos. It’s almost impossible to move at the moment without seeing a sports team launching an innovative new digital engagement platform or initiative. The FA has launched a socially crowdsourced film project to compile different fan experiences and stories on the road to the Cup Final. Liverpool have launched a Snapchat lens for digital face painting. All of this comes just months after some of the biggest names in football came together to launch Dugout.com, an online portal for football fans to engage with and share the latest exclusive content on some of the world’s top clubs. Obviously any Club worth their salt wants to provide the very best experience online and off to its dedicated fanbase, and the current focus on digital is not only making it easier for the fan to share their passion, but importantly also giving those fans what they want in terms of content and team information at their fingertips. However, with so many new digital and social platforms now competing for attention – not to mention each team’s own digital channels and aggregators – are organisations in sport at risk of spreading themselves and their content too thin? Of course, all of this focus on digital content takes place at a time when traditional methods for accessing the latest updates on your chosen team are changing dramatically. 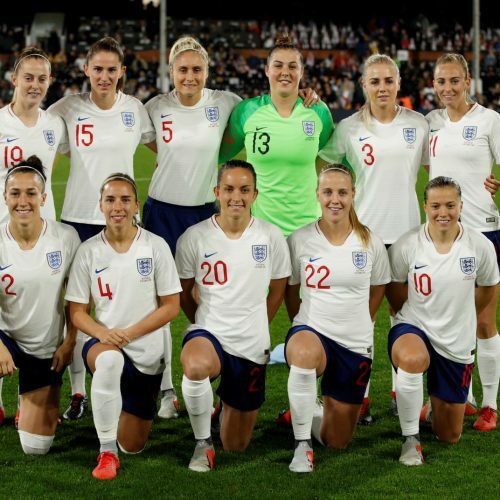 Early season viewing figures for channels such as Sky Sports were concerning; research released in November showed that younger audiences in particular weren’t being dazzled by sport as an entertainment genre next to other forms of digital content. So, the audience is fragmenting already. If you have no personal connection to a team or a regular season ticket to connect you to a live experience, watching a timeshifted game on a tablet is a very similar process and experience to watching the latest Netflix or Amazon Prime show. Live streaming may be on the increase, but there are so many different options for the modern sports fan to choose from. From the league’s official broadcast partners (if you have paid for the access), through to a Club’s own live audio / text feeds; the choice for sourcing the content you may want to engage with, but also the manner in which you want to consume it, is bewildering. With Facebook Live attempting to steal a march on the shared fan experience at live games the market for content – user generated and authentic, or polished ‘official’ – only becomes more muddled. The fact that League and Cup bodies have long standing exclusive broadcasting rights is one cause of this issue – however many teams have also been remarkably slow to seize on their own fan engagement potential. We are now starting to see the Club emerge as the dominant force for owning the dedicated fan’s attention (outside what happens on the pitch for 90 minutes on a Saturday), with new websites beginning to appear which deviate from previous Football League Interactive formats, and making the teams themselves the captains of their content ships. This in turn, means they can shape their own fan engagement strategies, personalising the official Club experience and sponsors native content in a way other, more disparate channels or content rights owners cannot. After all, the BBC and BT Sport cannot detect that a fan may be a season ticket holder, or a regular kit buyer (and then reward this loyalty). It is the clubs themselves who have access to that knowledge – as well as the behind-the-scenes access that fans crave. The right combination of these things need to be connected to the overall experience of the team and broadcast to the world, tailored and personalised where possible to deliver a unique experience. Social media is important in this process, but the right social strategy should look to drive traffic inwards to the Club, where it can be commercialised, rather than dissipating fan focus outwards to other media owners. Digital technology never stands still, and clubs and organisations need to keep pace if they are to match their fans’ constantly shifting expectations. The most important thing to remember is that the team is at the core of every fan experience. It drives all content output and consumption. It is the magnet that draws fans to a match every week, it is the reason why so many live tabs are open during work hours keeping track of the transfer moves as the window slowly closes. It’s the love of the game. Fan’s engagement options with sports may be changing, and young people may need to find alternative routes into bonding with their chosen teams. It’s only as clubs begin to realise this and look to deliver new and unrivalled experiences of their club through their own central platform, that the battle for fan engagement will be won.